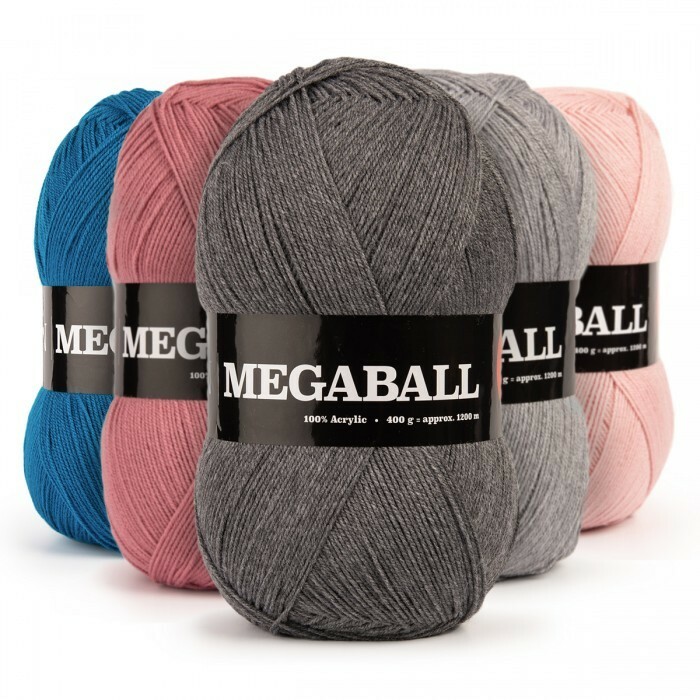 Mega Ball 400 g / 14.11 oz. 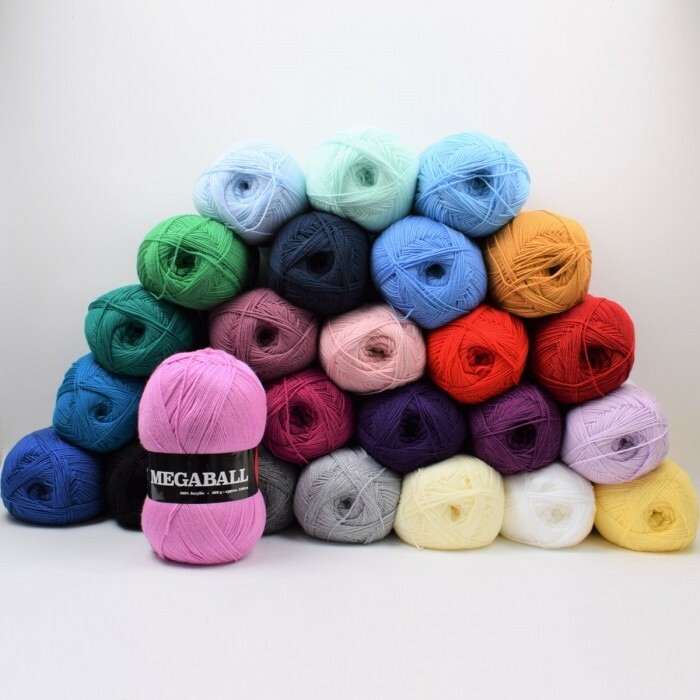 A soft and fabulous acrylic yarn in MEGA size skeins of 14.11 oz at an insanely good price! You get 1312.34 yards of yarn in this skein, so you will without a doubt have enough yarn for even the largest projects. Due to the long yardage you avoid weaving in too many ends. This yarn does not scratch, it stays pretty and it keep its shape after a wash. 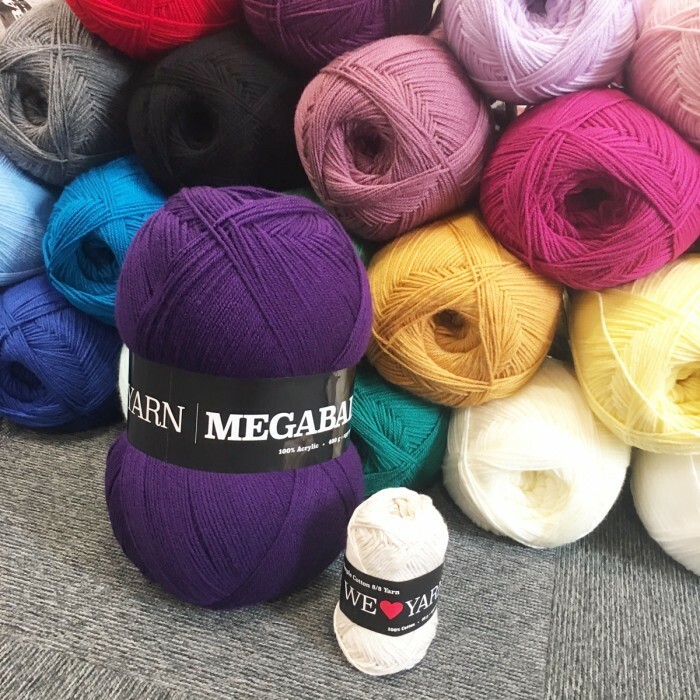 The possibilities are endless – use it for blankets, sweaters, cardigans, scarves and hats that feel incredibly soft against the skin.The long fibers guarantee that the yarn doesn’t pill. 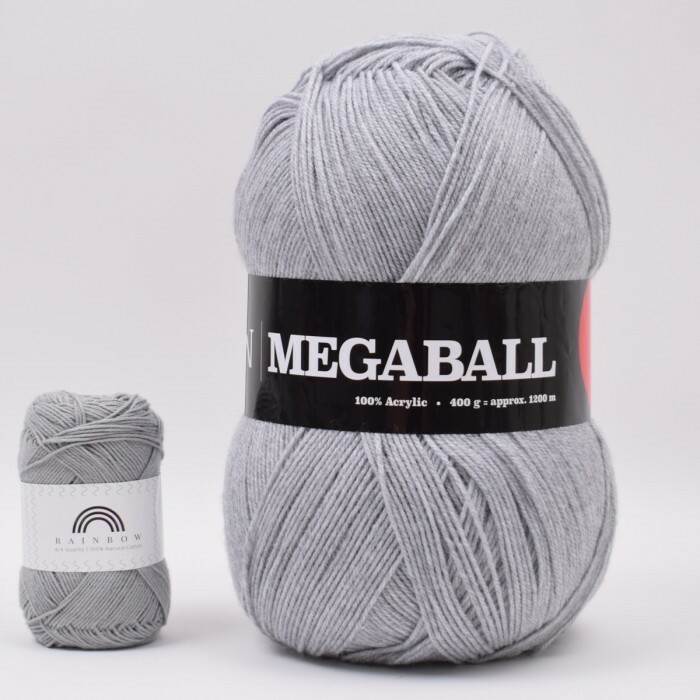 Mega Ball 400g / 14.11 oz. is super practical since it is extra durable and can be machine washable on 104℉. It is therefore very suitable for kids’ clothing or for knit that just needs to be able to endure a little bit of everything when being washed. The yarn is produced at one of the best factories of man-made yarn, and you are therefore guarantied a premium quality plus an environment friendly production. Would you prefer the same yarn in smaller skeins, then check out our Classic Acrylic. It is the same quality, but in skeins of 1.8 oz. (50 g) each. 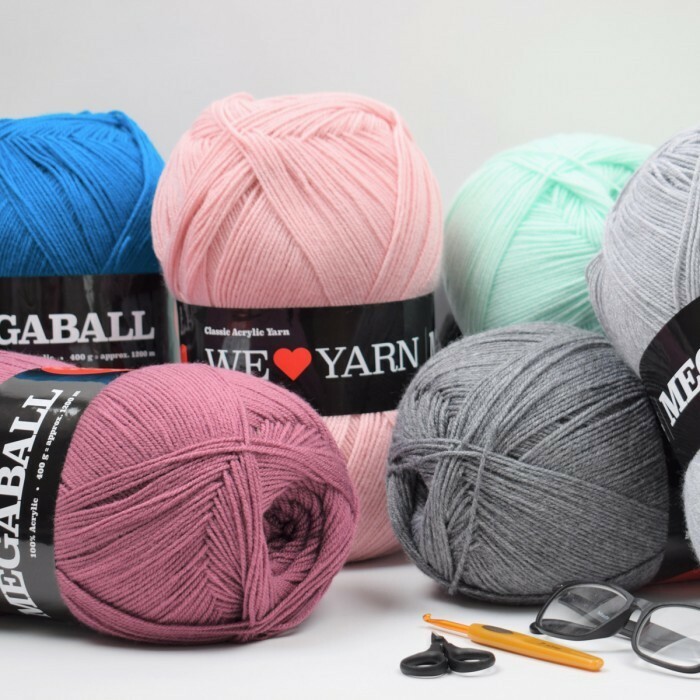 Share photos of finished projects with Mega Ball 400 g / 14.11 oz.